In a press release, Apple has announced the total number of preorders for the iPhone 6 and iPhone 6 Plus in the first 24 hours. 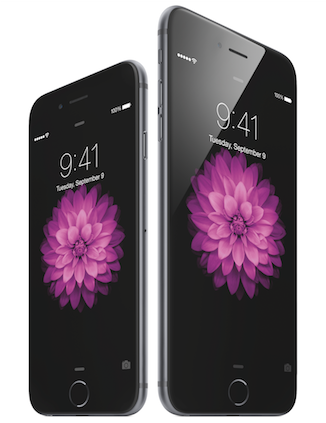 A record 4 million latest generation iPhones were preordered just on September 12 alone. Apple used to announced numbers for the first weekend of preorders in the past. Comparatively, iPhone 5 preorders totaled only around 2 million a couple of years ago. Additionally, the iPhone 5 was available for preorder in China at the time, while the iPhone 6 and 6 Plus were not available for preorder in China on day one. People who were lucky enough to preorder the new iPhones early Friday morning, will have their new devices delivered to them on September 19. On that day, the iPhone 6 and 6 Plus will also be available for purchase in Apple Retail Stores and other Apple Authorized Resellers including network carriers like AT&T, Verizon Wireless, Sprint, and T-Mobile. Judging by previous estimates, Apple is expected to sell around 10 million new iPhones over the first weekend. That is a whopping number! If you still haven't made up your mind if you'll be upgrading your phone to a new iPhone 6 or 6 Plus, keep in mind that current ship times at most retailers including at Apple.com exceeds 3-4 weeks for most models. That puts expected delivery dates well into October. Apple's shares were down $0.03 to close at $101.63 on Monday on the back of this announcement.